The Ireland-Palestine Solidarity Campaign (IPSC) welcomed the vote by Dublin City Council to formally support and endorse the Palestinian-led Boycott, Divestment and Sanctions (BDS) movement. In a separate motion, the council voted to call on the Irish government to expel the Israeli Ambassador. Dublin City Council voted to expel the Israeli Ambassador, back #BDS, and discontinue contracts with HP & DXC (32 v 10). Galway City Council unanimously backed a motion calling for the recognition of the state of #Palestine. 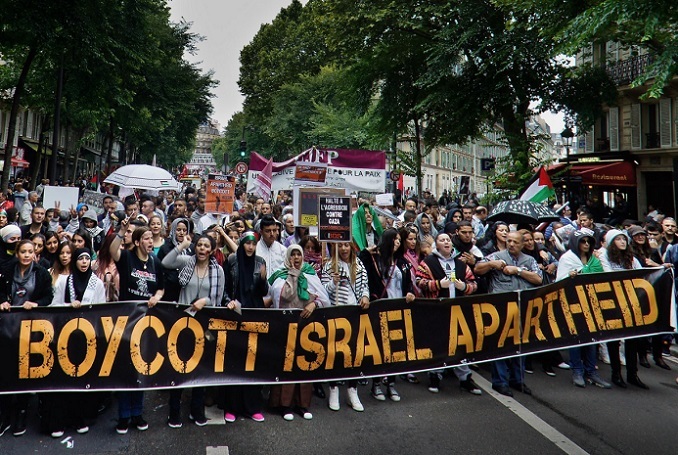 Be the first to comment on "Dublin City Council Votes to Support BDS Movement #Palestine #GroupPalestine #israelTerrorists #boycottIsrael"